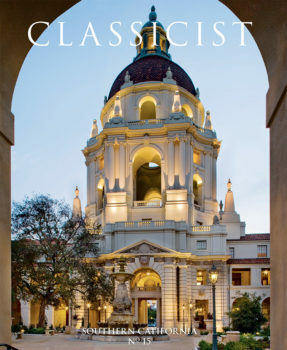 Classicist is an annual, peer-reviewed journal dedicated to the classical tradition in architecture and the allied arts. Featuring professional and student portfolios as well as academic articles authored by leaders in the field, this beautiful, color-illustrated journal serves as a forum for contemporary, classical practice as well as a source of inspiration and information for students, practitioners, teachers, patrons, and enthusiasts. Focused on Southern California, the Classicist No. 15 explores the region's rich architectural history as well as contemporary examples of classical design through professional and student portfolios and academic articles authored by leaders within the field.